As a new section of the airport, it was imperative for the Montréal–Trudeau to provide wayfinding signage to travelers. With flights departing to and arriving from South America and Europe, the facility also needed a way to keep travelers up-to-date on flight information and delays at customs and the security check. Based on the new addition, the airport had a clean palette to design. The end result would have to be something large and accessible, yet spatially logical for busy areas. After consulting with its designers, the airport chose to move forward with the installation of various digital signage displays and video walls throughout the terminal. In mid-November 2013, with the decision of digital signage displays and video walls in place, the Montréal–Trudeau turned to visual communications experts, Four Winds Interactive, and a team of integrators that they regularly worked with, Cablage Expert, to discuss logistics. Understanding the needs for this project, Cablage Expert recommended Peerless-AV® to provide the display and video wall mounts. While the Montréal–Trudeau had not previously worked with Peerless-AV®, Cablage Expert praised the serviceability of Peerless-AV® mounts, making them ideal for this project. The team employed the use of Peerless-AV®’s SmartMount® Full Service Video Wall Mounts in both landscape (DSVW765-LAND) and portrait (DS-VW765- POR) orientations. Offering a modular design, the Peerless-AV® SmartMount® Full Service Video Wall Mounts allowed the Cablage Expert team to create a variety of video wall display configurations. The Cablage Expert team also used the custom wall plate spacers to install the mounts. The spacers eliminated the need for measuring onsite, saving many hours and additional costs in installation time. 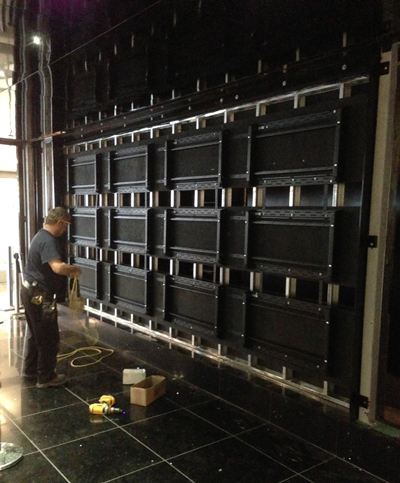 To seamlessly install multiple video displays, Cablage Expert relied on the tool-less adjustability of the mounts – a top feature for the team. 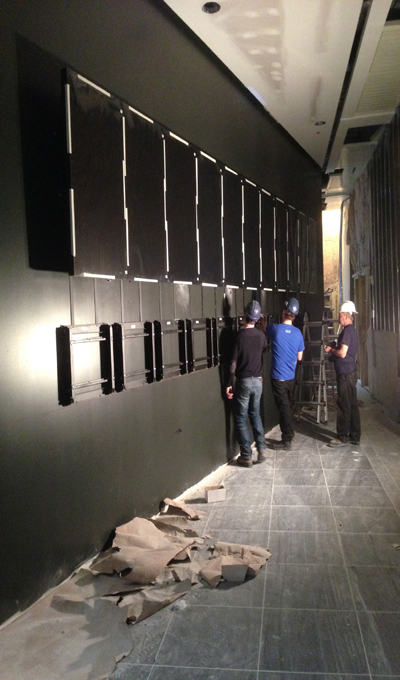 After installation was complete, the team was also able to quickly access the back of the displays and service the mounts. Utilizing Peerless-AV®’s DS-VW765-LAND mounts, Cablage Expert installed a 4×3 video wall comprised of 55” landscape displays opposite the duty-free area of the international terminal. The 4×3 video wall showcases general information about the airport. Cablage Expert also used Peerless-AV®’s DS-VW765- POR mounts for an 11×2 video wall, a 2×2 video wall, and a tripod digital signage display. Located in the general admission area of the Montréal– Trudeau, the 11×2 video wall of 55” displays provides travelers with information on arriving and departing flights as well as details on delays at the security checkpoint at customs. The 2×2 video wall, which is also located in the general admission area, near the food court, shares a map of the airport. The 75” tripod of displays offers travelers an interactive wayfinding tool. In place for over a year, the Montréal–Pierre Elliott Trudeau International Airport is very pleased with the results of its new digital signage and video wall displays. According to the airport director, when the signage lights up at night, your attention goes directly to the screen – it’s eye catching. 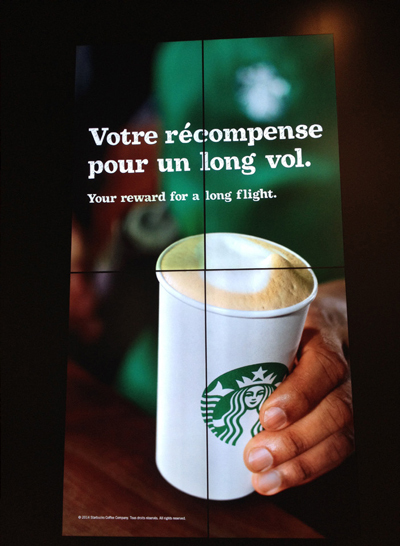 With the success of the project, the Montréal–Trudeau plans to use the digital signage for advertising. They are also considering the installation of additional video walls and tripods.